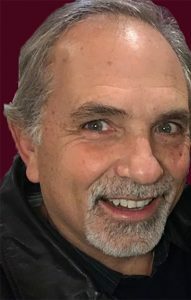 My name is Barry Coker, and I have lived in the Michiana area for my whole life. 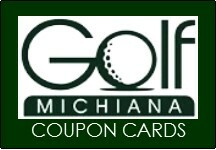 For the last 18 years, I have produced Golf Michiana Coupon Cards for golfers which features discounts at many area golf courses in Southwest Michigan and Northern Indiana. I am an avid golfer and would play every day if I could. For me, golf is the perfect game. Its beautiful scenery, fresh air, exrcise, and a great place for fun times with friends. It’s also because you can golf with complete stranges and still have a blast. you can be a man, a woman, a kid, or a senior. It’s for everybody. But for me, it’s more the different “competitions’ within the game. First, you compete with your playing partners. You against your opponent. It’s always fun to have a friendly competition against some friends. Some laughs. Some good-natured ribbing. Some adult beverages afterwards or maybe even during your round. There are not many sports where it is socially acceptable to have a couple drinks during the game. The second competition is against the course. The ultimate competition. You against the course. The course usually wins, but it is such an adrenaline rush to play well and conquer a ful round of golf. It’s also a rush to conquer 9 holes of golf, a rush to “beat” a hole with a par or birdie, and it’s even a rush to hit a grat shot. That’s what golfers remember; that great shot, that great hole, that great 9 or that great round. That’s what keeps us coming back. The third competition is you against yourself. Challenge yourself to succeed, to compete. To learn, to progress, to improve. Sometimes it doesn’t matter what your score is, it only matters that you played. What a great way to spend a day, with friends, with strangers or even by yourself. I would love to know why you play golf and what you love about it. Please use the space above for your comments. Michiana is a combination of “Michigan” and “Indiana,” and describes a large area in Northern Indiana and Southwest Michigan. The central city is South Bend, Indiana, and extends at least 30 miles in every direction, and includes seven counties. Those counties include Elkhart, LaPorte, Marshall, St. Joseph, and Starke in Indiana; and Berrien and Cass Counties in Michigan. Greater Michiana inclues all areas within about 60 miles of South Bend. This area is home to over 150 golf courses! For many years Golf Michiana has been a great coupon card for golfers. We are based in the South Bend area, but have several Editions, or course areas, for golfers. The cards are basically the same this year, as they have been in years past. These cards contain coupons (usually about 16 per card) for 1/2 price golf and cart for twosomes. No tricks, no gotch-ya’s, no gimmicks. Since all coupons include 1/2 price carts in addition to 1/2 price greens fees, it is a “no-brainer.” Using just one or possibly two coupons out of the 12-19 cpi[pms pm eacj card, saves two golfers more than the cost of the entire card. The golf course coupons are usually valid most any time during the week, and on weekends (mostly afternoons). Some offers are valid weekdays only, so just check each coupon. Why not weekend mornings? Typically, golf courses are busiest during weekend mornings. That’s their best opportunity to “make a little green” to keep their courses in tip-top shape for you. That’s when they charge the highest rates. Golfers and golf courses know that weekend mornings are the most convenient time to play. So it costs more. Supply and demand. People think golf courses are rolling in money. Nothing could be further from teh truth. Golf courses have a limited period of time each year in which to make money or even cover their expenses. They are totally dpendent on the weather. Since there are so many golf courses to choose from, courses struggle with the juggling act of attracting golfers to their course, without compromising their rates for everyone. No golf course can survive by lowering their rates for all. It simply costs too much to maintain the course as costs continue to skyrocket for courses. Consider the cost of labor, insurance, taxes, chemicals, water/irrigation, machinery, etc. So, the bottom line is most courses survive the year with the revenue they earn during weekend mornings throughout the year. They siimply can’t afford to lower their rates at that time. However, they are willing to offer discounts to Golf Michiana cardholders most of the rest of the week. Just an FYI, if you have only played weekend mornings, please give another day or time of day a shot. Because courses are less busy at other times of the week, your round is usually much faster to play. No waiting to tee off and no following lots of foursomes who are in no particular hurry on Saturday morning. Because there are 12-18 courses featured on every coupon card, you get the opportunity to try new courses without the high cost. Our cards help golf courses survive. By helping golf courses fill in open tee times with discounted golfers, they can earn revenue during times of the day and days of the week that would not normally generate much revenue. We help local golf teams and other organizations. Every year, we help lots of area high school golf teams make money for team expenses, with the team selling our cards as a fundraiser. We also work with local organizations and non-profits as they also sell our cards. We are also in the process of expanding our website to include information on high school golf, junior golf, local golf news, golf talk, maps, list of all courses in the area, events calendar, and more. So, for everything golf in our local area, our site is for you. Have a great season!